Question 1: Did Joseph Smith use the Urim and Thummim to translate the Book of Mormon? 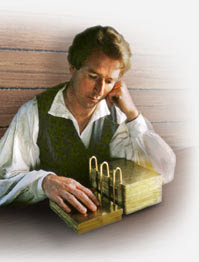 Question 2: Did Joseph Smith use the Gold Plates to translate the Book of Mormon? After several decades in the church I would have answered "Yes" to both questions. Sadly, the answers are both questions is "No". 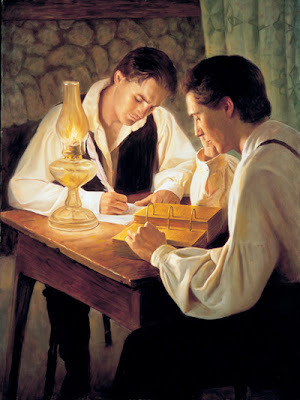 The Church teaches its investigators and members that the Book of Mormon was translated with Joseph Smith using the Urim and Thummim to read the characters on the gold leaf pages of the ancient record obtained through visitations from angels at Hill Cumorah with a scribe writing down the scriptural passages. The Book of Mormon was not translated with the Urim and Thummim. They were used to produce the 116 pages, which where lost, and subsequently taken from Joseph by an angel as punishment. He said there was a book deposited, written upon gold plates, giving an account of the former inhabitants of this continent, and the source from whence they sprang. He also said that the fullness of the everlasting Gospel was contained in it, as delivered by the Savior to the ancient inhabitants. Also, that there were two stones in silver bows (and these stones, fastened to a breast-plate, constituted what is called the Urim and Thummim) deposited with the plates, and the possession: and use of these stones was what constituted Seers in ancient or modern times, and that God had prepared them for the purpose of translating the book." How did Joseph Smith translate the Book of Mormon? "Joseph Smith would put the seer stone into a hat, and put his face in the hat, drawing it closely around his face to exclude the light; and in the darkness the spiritual light would shine. A piece of something resembling parchment would appear, and on that appeared the writing. One character at a time would appear, and under it was the interpretation in English. Brother Joseph would read off the English to Oliver Cowdery, who was his principal scribe, and when it was written down and repeated to Brother Joseph to see if it was correct, then it would disappear, and another character with the interpretation would appear. Thus the Book of Mormon was translated by the gift and power of God, and not by any power of man." "He [Martin Harris] said that the Prophet possessed a seer stone, by which he was enabled to translate as well as from the Urim and Thummim, and for convenience he then used the seer stone, Martin explained the translation as follows: By aid of the seer stone, sentences would appear and were read by the Prophet and written by Martin..."
Harris said that the seer stone Smith possessed was a "chocolate-colored, somewhat egg-shaped stone which the Prophet found while digging a well in company with his brother Hyrum." Harris went on to say it was by using this stone that "Joseph was able to translate the characters engraven on the plates"
"By aid of the Seer Stone, sentences would appear and were read by the Prophet and written by Martin, and when finished he would say 'written;' and if correctly written, the sentence would disappear and another appear in its place; but if not written correctly it remained until corrected, so that the translation was just as it was engraven on the plates, precisely in the language then used"
"When Joseph was translating the Book of Mormon [I] had occasion more than once to go into his immediate presence, and saw him engaged at his work of translation. 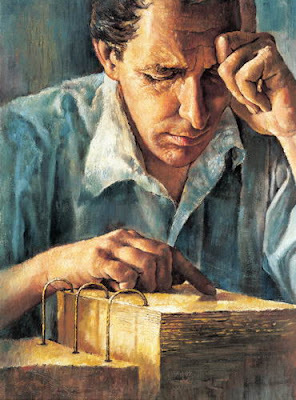 The mode of procedure consisted in Joseph's placing the Seer Stone in the crown of a hat, then putting his face into the hat, so as to entirely cover his face, resting his elbows upon his knees, and then dictating word after word, while the scribes — Emma, John Whitmer, O. Cowdery, or some other wrote it down." There are several references that state that the Urim and Thummim were used in the hat. There is much confusion about these statements as many seem to think that the references refer to the seer stone. To further complicate the matter, the term "Urim and Thummim" have been used to explain the pair of stones set in eye frames that were found with the gold plates on the Hill Cumorah and seer stones as referenced in Biblical passages. Next, Joseph Smith did not use the gold plates to produce the Book of Mormon. The Book of Mormon was often kept in a box, under cloth, or even in the woods near the home they were translating. I, as well as all of my father's family, Smith's wife, Oliver Cowdery and Martin Harris, were present during the translation. . . . He [Joseph Smith] did not use the plates in translation"
This would make sense since Joseph was looking into a hat instead of at the plates while he dictated. Its interesting to know that Joseph Smith never provided details regarding the translation process. Whenever asked, he simply explained that he did it by the "gift and power of God". The Church of Jesus Christ of Latter-Day Saints further perpetuates the inaccuracy by including misleading artist's depictions of the translation process throughout their websites. Referring back to Reason 2 in this series, this topic is an especially worrisome example of Faith Promoting History. Is the Church truthful about how the Book of Mormon was translated? The answer is clearly "No". If it were, everyone would know. Instead, Church manuals, conference talks, Church educational video's, books, etc. depict Joseph carefully reviewing the contents of the gold plates. Is this because the truth is not believable? The answer is most certainly "Yes". But what does that matter? Shouldn't the Church just tell the truth and deal with the consequences? I've been taught at Church to tell the truth no matter what, to have that kind of character, yet the Church does not practice what it teaches. What should matter more than the truth? If the Church were honest about it, most people today would simply laugh and balk at the idea and would not take the Church seriously. Arguably, times have changed since the early 1800's in which times seer stones were often used to find hidden treasures and the like. Seer stones were common in those days and religious people believed in their power and divinity. Today, it is seen as sheer foolishness. In David Whitmer's famous To all believers of Christ pamphlet, it was explained that the seer stone was used for the translation. This was done so as proof that the book was translated by divine inspiration and not written by man. As I've explained previously, the Church should not have to rewrite its history to make it more palatable. The Church claims to be the only true church upon the face of the whole earth and as such should be able to be truthful about the translation of the Book of Mormon. Simply, the Church needs to acknowledge their error and begin teaching the truth of the translation. The church should have been more careful in their doctrines if they didn't want their religion questioned. I was BIC and I am out of the church for 12 years now. I'm still outraged by the deception of it all!! !